Ever since I picked up my stupid cheap E39, I’ve been in love with how well it functions as a daily. It is fast enough, RWD, comfortable, handles well, is relatively easy to work on, tons of forum knowledge available, and most of all it has a V8 and a manual. I’ve been thinking lately of selling it for something else (I have severe automotive ADD) but I’ve had real trouble finding something equivalent or better for a similar price. Well, a few weeks ago I was rear ended and the damage ends up with a (surprisingly) not totaled vehicle. That’s right, despite the peeling paint, faded interior, and other issues, the adjuster valued the car at a lot higher than I expected (especially considering my purchase price). In any case, I have some money coming, and I can’t really see spending it on an E39 that, fixed, probably isn’t worth the settlement. 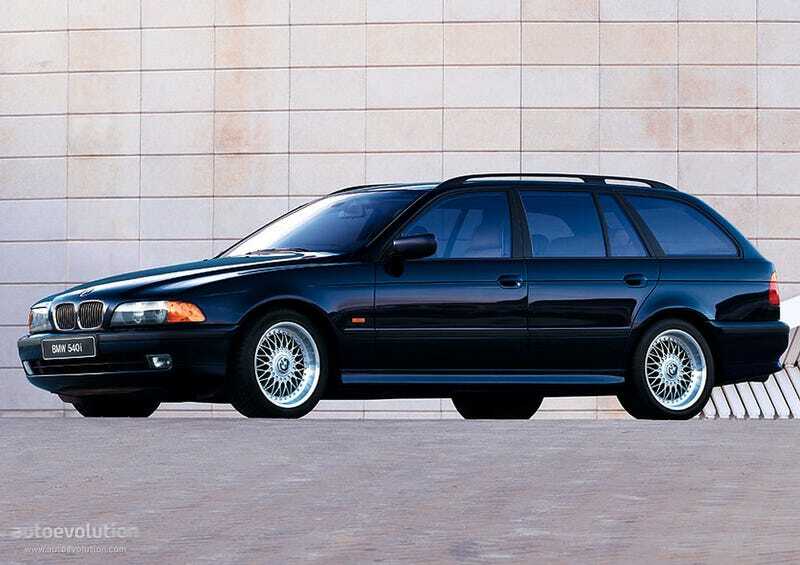 So I started looking around and realized that there are quite a few e39 wagons available around me for just under $2k. Now unfortunately, the e39 touring never came to the US with the big engine and a manual... but here I find myself with a fully functional 540i manual donor... And enough money to buy a super clean touring shell... And a decent amount of automotive knowledge and tools... So I’m guessing you see where I’m going with this. I want to make a 540it manual. It checks all the boxes I require for a perfect daily while being rare/cool enough to take to the occasional meetup. Please, talk me out of it. Making a daily into a project car is always a bad plan, but now that the idea is in my head I can’t seem to shake it. Update: Found a clean 540i sport wagon that broke timing guides for not a whole hell of a lot. Seems like a perfect project springboard and I won’t have to deal with a motor swap AND a trans swap.